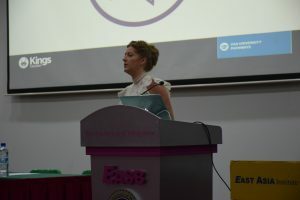 During the USA Education Seminar on 9th June, we had a chance to talk to Ms Jane Elliott to find out what Kings Education has to offer and her views of studying abroad. Ms Jane Elliott is the Regional Manager in the South-East Asia branch of Kings Education. Q1: Could you tell me about your role in Kings Education? A: My role in Kings Education is Regional Manager for South-East Asia based in Bangkok, Thailand and taking care of our students, agent partners, partner schools in Thailand, Malaysia, Singapore and Indonesia. Q2: What are some unique qualities of Kings Education? A: First and foremost, in Kings Education, we always put students first. The students in our centres in the US and UK are the heart of everything we do. Hence, we focus on helping applicants apply to their ideal course of study with us. 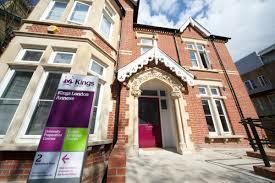 We help them to progress onto the university they aim to go to and have an enjoyable and fulfilling experience. At the same time, gaining these important qualifications will benefit them in future. That, I would say, would be our top priority. Q3: What is the culture like in Kings? A: It’s a very friendly culture. We want students to be aiming high, many academic contents are available. 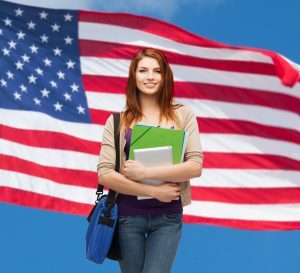 Students are coming to us because they want to enter top universities in the US and UK. They need to be determined, ambitious and aiming for good things in the future. This happens within a supportive environment in Kings. We have an open-door policy in every centre. Students can therefore approach us whenever they need help in academic or pastoral matters. We also want to help students develop their self-reliance and confidence. This is because we are usually their first experience of studying overseas. Being away from their families and home country can be new, different and daunting. We want to be the environment that help our students to settle in, develop their confidence and skills. Q4: How will Kings Education benefit prospective students? A: Because we have a range of centres and courses, we have different study options available. We would like to look at the progress of prospective students in terms of their academic level, language level, confidence level, their areas of interest, and find out what they are aiming for. For example, they may be a student in Singapore who has done their O’levels or GCSE, we will look at that academic level, their progress, their character and confidence etc. If their goal is to, for instance, pursue a degree in finance at UCLA in the United States, we will recommend a study path best suited for them and assist them accordingly. We will guide students as much as possible to make sure they are on the right path. Q5: What are the benefits of studying abroad? A: A key aspect is developing a global outlook. I am from the UK but I live in Thailand. I am very fortunate to experience life in the West and the East. It has taught me more about people, human nature, similarities and differences between people. It gives you a perspective of the world and helps you to better understand different cultures. In addition, you will develop key skills such as empathy, cultural awareness, cultural understanding and patience while living in a different country and dealing with different nationalities. You can’t get those skills from a textbook or even a classroom in Singapore and Thailand but only through an experience. I advise young people financially supported in pursuing a long-term programme to take that opportunity which will open up future possibilities. If they’re financially constrained, they can try looking for short-term study options. They can consider doing a short study program in a country near them. This provides a living experience abroad and working with different nationalities. Q6: How can students overcome their challenges when they are studying abroad? A: For us, it starts when they apply with us. We have close contact with our students while they’re still in their home country. We also provide detailed information about visa, health insurance, cultural awareness and others before they leave their home country. When they arrived, we pick them up from the airport and ferry them to their residential accommodation. We have staff based in the accommodation with them, induction programs to teach them about life in their new home and introduce our staff that will help them. They will also have the opportunity to interact with local students, allowing them to stimulate faster and get used to life in a foreign country. For example, if a student from Singapore enrol into our centre in the US, they will be studying with American students from day 1. We guide and advice our students from the start, making them better prepared and settled in. Q7: What tips & advice do you have for prospective students studying abroad? A: Do your research. There are different options ranging from top-rated schools to further education colleges in the UK and community colleges in the US. Individuals should then decide what they want and not what others want for them. For example, they can decide for themselves where they want to study in future and do whatever it takes to achieve their goals. DK: It has been a very insightful moment, i’ve learnt a thing or two from you. As an international relations student, i understand the importance of diversity and the need to be cosmopolitan. Studying abroad can thus help us to be more aware of this. This allows us to understand different cultures better. JE: I agree with you, I think it’s a valid point. It fascinates me when you group different students in a joint project. For instance, if you grouped a student from Germany, China and Nigeria together, they will have very different approaches and views. This could be on how a project should be run and learning how to listen to others, changing their opinion at times. They acquire skills such as tact diplomacy and persuasiveness when working with different nationalities and understanding international outlook. For more information about Kings Education, please do drop us an email at info@gstudyabroad.com or fill in the enquiry form below. Global Study Abroad provides free consultation services. We offer scholarships and bursaries!